Currently to edit a saved product, you need to delete it. Each time you add new products or make changes to old ones in your store, you will have to update this information on the Products page if you want these to be reflected in the shipping rates. 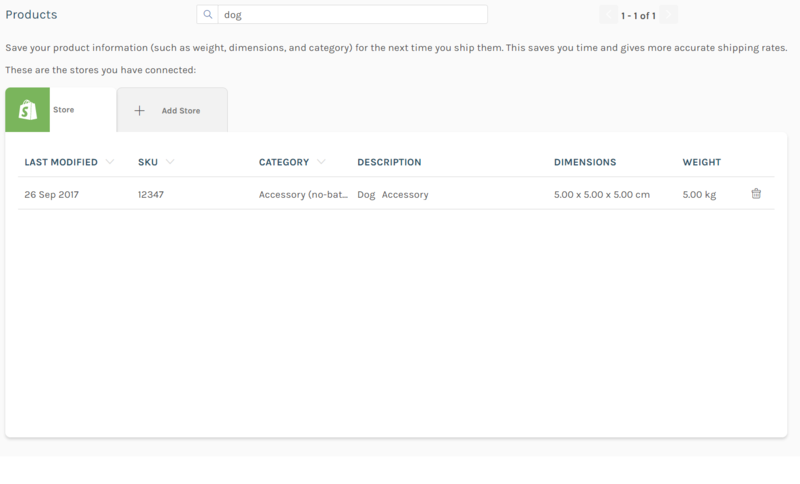 To Remove a product, go to your products page and either search for it, or find it manually under your respective store tab. Once found, press the trashcan to remove it.